Valentine’s Day is a time for couples to come together and express their love for one another. For duo Ember and Rime however, an enigmatic force resulting from their contrasting control of hot and cold keeps them separated. Together, yet apart, they will explore evolving landscapes as they seek to understand the fate of their polarized worlds. A story about togetherness, Degrees of Separation is a cooperative adventure tailored for two. 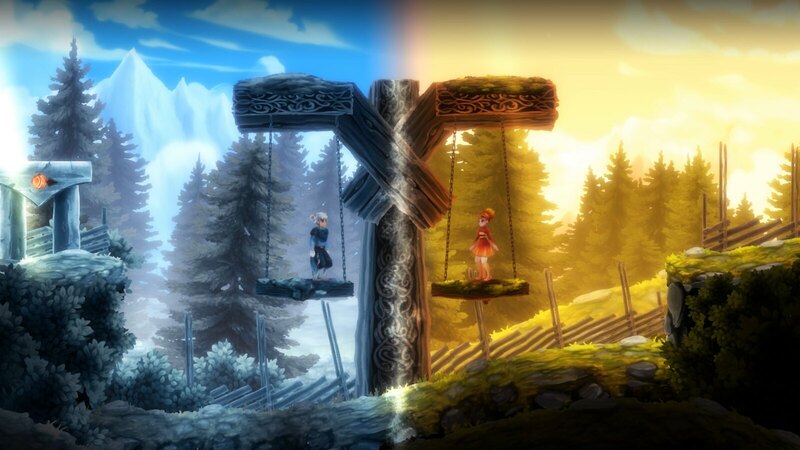 Featuring dual protagonists, players will control both characters simultaneously in solo play or separately in co-op. Each protagonist wields the ability to transform their surroundings based on the power they wield, and when used in conjunction with their partner, will create a myriad of effects that will be vital for our duo to overcome obstacles and solve puzzles. Games are experiences, and experiences tend to be less impactful the more I’m exposed to similar ones. If an idea is too much alike other games that I know of, I will usually reject it. This inevitably transferred into my puzzle designs, where I was constantly searching for new ideas to show players. When designing Degrees of Separation, I had some rules in mind to measure how our ideas fit within the game. Firstly, all the game’s mechanics needed to work on a thematic level both in regard to the temperature properties of the protagonists as well as the narrative structure about relationships. Secondly, each world needed to expand the possibility of what our duo is capable of and each effect had to be as visually striking as the last. Finally, the entirety of the gameplay experience needed to feel fresh from start to finish — which for me was the most daunting part of development. The possibilities for interesting scenarios were present with each world’s mechanic, I just had to discover them. Ideas for challenges started to materialise but only after a significant time investment in each world as I studied and came to understand each mechanic in depth. The first world that players will discover also served as the foundation for the entire game. The initial prototype was created in less than seven days as an entrant in a contest where “temperature” was the theme. I really liked the contrast of warm and cold and was thinking of how to best demonstrate that. Splitting the screen in two was the solution I came up with. The game won that contest. As we continued development, we realized the number of possibilities for fun and innovative challenges that result from the ability to control contrasting temperatures. 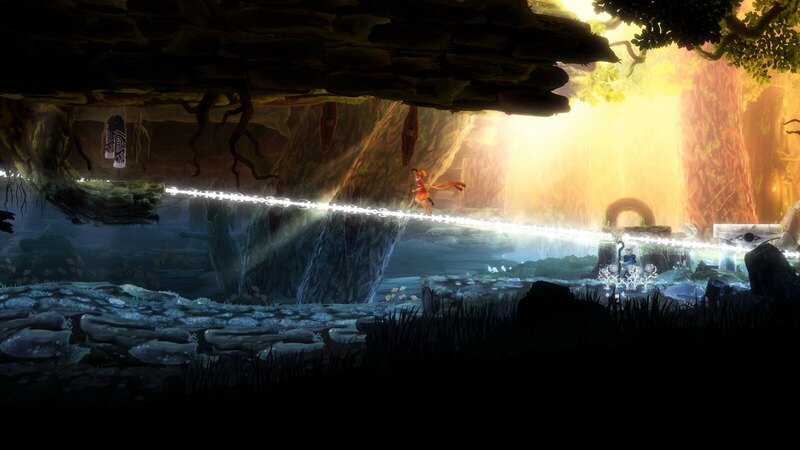 For example, during playtests an individual assumed that the sharp line that separates the two protagonists on screen was one that was solid and could be walked on. This idea eventually became the central gameplay mechanic for the second world we developed. In the end not every idea made it into the final product, however the culmination of the very best gameplay concepts and a story by fantasy author Chris Avellone (Fallout New Vegas, Star Wars Knights of the Old Republic II: The Sith Lords) make up the DNA of Degrees of Separation. Whether you choose to experience it together in co-op or on your own, I hope it warms your heart when it launches on Valentine’s Day.